California Senate Bill 827, which was sponsored by State Senators Scott Wiener and Nancy Skinner, was formally defeated in committee this week. But this outcome was foreseen for months, with all of the last-minute lobbying on both sides not impacting the result. Why did SB 827 fail this year? Before giving my assessment, I want to emphasize that using state law to rezone neighborhoods and cities across California is always going to be a tough fight. But there were flaws in this year’s campaign that cannot be repeated. A future bill to greatly expand housing in California is a winnable fight but success requires a different strategy. 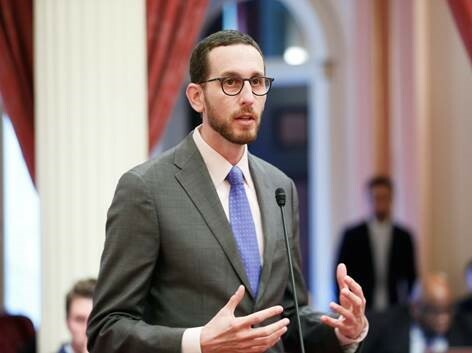 Since joining the State Senate in 2017, Scott Wiener has moved the housing ball further and faster down the field than any legislator in California’s modern history. I commend him for this. He is a true housing visionary. But Wiener is new to the legislature and his inexperience showed. I was fortunate in the late 1990’s to be down in the trenches with the great John Burton in getting critical pro-tenant legislation enacted in California. Burton showed me what must be done to pass such measures, and it was not the process we saw around SB 827. Wiener unleashed a bill that radically altered zoning in neighborhoods and cities across the state. Yet he bypassed the necessary big tent approach of bringing stakeholders into the process. Opponents of SB 827 complained that they were not given input into the bill. And they were right. While many would have opposed the ultimate legislation anyway, this lack of input incited distrust of the measure and gave them a justifiable and high road basis for opposition. Wiener got SB 35 through the legislature using a big tent strategy. He needs to go back to that approach when he brings a version of SB 827 back next year or in the future. The California Legislature is not going to pass a land use bill unanimously opposed by the Los Angeles City Council and the city’s mayor. Period. I told backers of the bill over two months ago that SB 827 was dead unless they could get Mayor Garcetti or Los Angeles state legislators on board; that never happened. Wiener needed a Los Angeles-based co-sponsor from the start. He needed a strong ally who Los Angeles unions, community organizations and tenant groups could trust. This also never happened. The only way a new version of SB 827 will pass next year or soon thereafter is if Garcetti or key Los Angeles legislators are on board. Wiener must get this support before introducing a future bill. Scott Wiener was elected to the Board of Supervisors in 2010 with strong realtor and landlord support. He used that support in 2016 to win a close race against Jane Kim for State Senate. Wiener has been consistently opposed by San Francisco tenant groups, and his record on the Board strongly served real estate interests. Is it any wonder tenant groups, particularly those in Los Angeles, did not trust that Wiener’s bill would not increase displacement and gentrification? Why would they believe that a politician whose career was built supporting landlord interests would now be backing a measure expanding tenant rights? Proponents of SB 827 thought that pro-tenant amendments would dispel distrust toward Wiener, because they became part of the legislation. But people I talked to did not trust these amendments would remain in the bill’s final version, or had other reasons for why the amendments did not help tenants. That’s why Wiener’s amendment adding tenant protections not currently available in Los Angeles or in nearly any city—such as the 42-month relocation payments and right to return for tenants whose buildings were demolished under SB 827— did nothing to increase tenant support. Wiener was the wrong messenger for a bill claiming to make cities more affordable. SB 827 needed was a Los Angeles co-sponsor who tenant groups trusted. The displacement and gentrification issues should have been addressed in the original bill—not by later amendments. That provisions addressing these issues were not in the original measure sent a message that the bill was not really aimed at reducing gentrification and expanding affordable housing (which explains why the San Francisco Planning Department’s conclusion that SB 827 would overall increase affordable housing made no difference to opponents). Speaking of amendments, I do not understand Wiener’s strategy on introducing them. He announced them on Medium.com when he needed to introduce them at a press conference with key stakeholders who once opposed SB 827 but now supported the bill due to the new amendments. When Wiener introduced his last set of very sweeping amendments—reducing heights to five stories and mandating inclusionary housing, the latter policy Los Angeles still lacks—I said to myself: “I hope he got Garcetti’s support in exchange for this.” But it does not appear Garcetti or any major stakeholder switched from opposition to support due to these new amendments. Wiener always was open to amendments but then failed to use them to expand the political support necessary for the bill’s passage. Wiener’s original version of SB 827 also covered too much area outside actual transit corridors. This stoked opposition from homeowners who did not see themselves as living near such corridors, and who likely could have been kept out of the fight had the bill limited itself to high-transit streets from the start. As I noted at the outset, even if Wiener had done everything right a bill that uses state law to rezone single-family home neighborhoods faced a tough battle. Los Angeles’ politically powerful homeowner groups are huge campaign donors. They zealously guard their control over what gets built in or around their neighborhood, and are used to getting their way. For Garcetti—considering a presidential run—or Los Angeles city councilmembers dependent on homeowner votes and money to back a state bill that alienate these homeowner groups requires a lot of grassroots organizing. Yet to my knowledge there was literally no such organizing in Los Angeles to support SB 827. My upcoming book, Generation Priced Out (UC Press), discusses how cities have overcome homeowner opposition to increased density. It cannot be overcome when the community and tenant groups that could have provided support for a pro-housing bill are left out of the process. A lot of the opposition to SB 827 was driven by people who oppose new housing and who use threats of gentrification and displacement as a cover for their elitist position. But California is not going to pass a state overlay on local zoning when tenant and progressive community groups join homeowner associations in opposition. Would tenant groups have strongly opposed SB 827 if it had been paired with Ellis Act reform or Costa-Hawkins repeal? We don’t know. But these are the kind of trade-offs that passing state preemption of local land use laws along the lines of SB 827 may require. In the short time frame between Wiener’s introduction of the bill and the hearing, lies about SB 827 proliferated. And when I say lies, I mean 100%, Donald Trump-like falsehoods. This message was sent days after Wiener revised the bill to reduce new building heights to five stories from the original eight. SB 827 never involved “luxury condo towers.” I was very disappointed to see this email because Kim has been a straight shooter during her political career. I assume someone from her mayoral campaign sent the email. But I guess she can now tell Westside voters in the upcoming mayor’s race that she stopped “luxury condo towers” from coming to their neighborhood. SB 827 was lost in Los Angeles. San Francisco’s opposition meant nothing because Wiener, Phil Ting and David Chiu all backed the bill. But for a bill that had provisions that could justifiably be attacked by opponents—-particularly the vagueness around “transit corridors”—the extent of lying across the state about SB 827 promoting highrises was disturbing—-but effective in mobilizing opposition. SB 827’s timing was wrong. Wiener thought he would build on the success of SB 35 by introducing an even more comprehensive measure. But after the state passed fifteen housing bills in 2017, there was not the appetite in Sacramento to come back and do more. Mayor Garcetti’s state legislative priority and those of other big city mayors in 2018 is getting $1.5 billion in state funds for homeless services. They are not going to sacrifice that for a chance to enact SB 827. Legislators who backed SB 35 and the larger 2017 housing package felt they had done their part for the session. Governor Brown, who Wiener got to get on board for SB 35 and who was momentarily interested in housing in 2017, had other fish to fry in 2018. Brown is busy talking to the media about his legacy and battling with Donald Trump; he probably would have been very engaged with a bill like SB 827 back in 2011 but not in 2018. I know how disappointed many YIMBYs and pro-housing advocates feel over SB 827’s defeat. I think last year’s state level success created unrealistic expectations over the bill’s prospects. But SB 827’s demise increases pressure on cities to build all that affordable housing on transit corridors that they claimed they wanted to do but that the state bill would prevent. It should also increase pressure on Los Angeles to enact inclusionary housing, since the city council opposed the final version of Wiener’s bill that mandated this key affordable housing strategy. Los Angeles should also pass the protections for demolitions of rent-controlled housing also included in Wiener’s measure. Opponents of SB 827 kept saying they support other approaches to the state’s acute housing shortage. I think the pressure is now on them to offer such approaches. I’m speaking of actual bills and financially viable alternatives that create new units without triggering the displacement and gentrification they associated with Wiener’s bill. If cities want to make sure no version close to SB 827 ever passes they should start building a lot more housing without a state mandate. That means overcoming the same powerful homeowner interests that primarily killed SB 827. These groups oppose apartments in single-family zoned districts, and the defeat of SB 827 has further emboldened them. The lesson for YIMBYs is twofold. First, exclusionary land use policies cannot be overcome overnight. Second, winning this struggle in Sacramento requires a lot more grassroots organizing across the state, particularly in Los Angeles. SB 827 unleashed the full political power of the Los Angeles homeowner groups. I read little about grassroots activism in LA from pro-827 activists in response, and that needs to be addressed. Our failure to pass an Ellis Act reform bill just covering San Francisco showed that Los Angeles-area legislators dominate Sacramento votes. So while YIMBYs are doing great organizing in the Bay Area and South Bay, more work must be done in Los Angeles to win state political battles. Gavin Newsom, far ahead in the governor’s race, did not endorse SB 827 but expressed enthusiasm about its intent to get more housing built in California. Newsom wants the state to build 3.5 million new units by 2025, and if he becomes governor I would expect him to get involved in trying to pass a version of SB 827 in order for that construction to occur. I thank Supervisor Wiener for spawning the biggest public debate ever held in California over urban housing policy. SB 827 got a lot of people thinking about why California does not build anywhere near the housing needed to meet population growth—-and exposed many of the forces to blame. SB 827 has thrown down the gauntlet for cities to either build more housing or see passage of a statewide measure to provide the homes that California desperately needs. Randy Shaw is Editor of Beyond Chron. His upcoming book, Generation Priced Out: Who Will Live in the New Urban America?, discusses over a dozen cities and will be out in October from the University of California Press. He is also the author of, The Activist’s Handbook: Winning Social Change in the 21st Century .